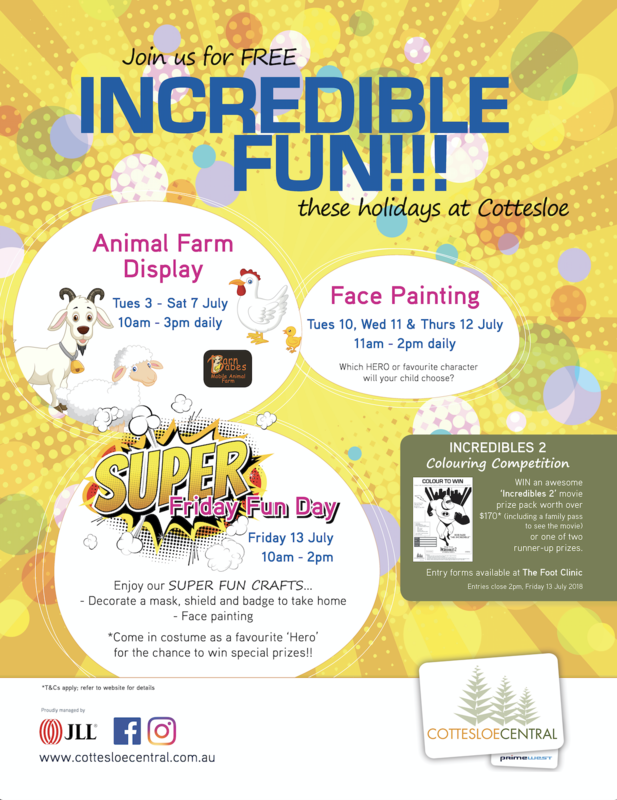 Enjoy some Incredible Fun at Cottesloe Central these July School Holidays! 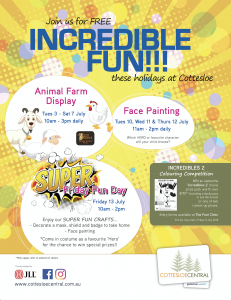 Tuesday, July 3rd to Saturday, July 7th : 10am – 3pm daily. Tuesday, July 10th, Wednesday July 11th & Thursday July 12th : 11am – 2pm daily. Have your face or arm painted in your favourite hero for FREE!